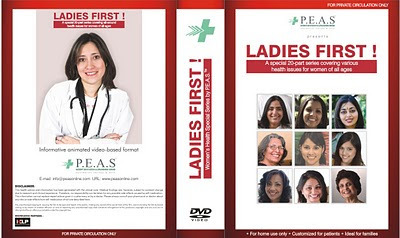 Dr.Malpani's Blog: Patient educational DVDs now being produced in India in Indian languages ! Patient educational DVDs now being produced in India in Indian languages ! By passing the Clinical Establishment Act, the Indian government is planning to make accreditation compulsory for clinics, to ensure that patients get good quality medical care from doctors, because they will be forced to meet basic standards. I am thrilled to observe that one of the requirements for accreditation is that doctors provide patient educational materials in their clinics. The good news is that innovative companies like PEAS ( in which I am an angel investor) are producing patient educational DVDs in Indian languages, customised for Indian patients ! Information Therapy will hopefully become an integral part of Indian medical practise !